SHARE YOUR STORY while providing funding to a nonprofit! As your community foundation honoring 65 years of giving, we celebrate the sapphire anniversary year where we reflect on the concepts of loyalty and prosperity in all that we do. As we work together every day to create a stronger, kinder, more livable region, we want to recognize and call attention to the loyalty of our donors who entrust us to help them carry out their charitable goals and the prosperity that their generosity makes possible right here within our communities in Northeastern Pennsylvania. We invite and encourage you to share your story with us and, in order to show our appreciation, our 65th anniversary mini-grants program is our special “thank you”! We are interested in hearing how the Scranton Area Community Foundation has been a part of your story. It might be a story about how you worked with the Scranton Area Community Foundation to do your charitable giving; the impact of a grant that you received from a fund at the Scranton Area Community Foundation; an achievement made possible through a scholarship at the Foundation; or the good work of a nonprofit organization that you’ve been a part of or benefited from in some way. 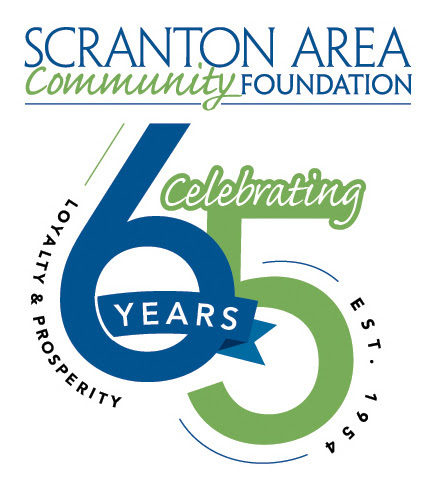 In an effort to highlight the impact that the Scranton Area Community Foundation has had in the community over the last 65 years, we may share your story on our website, in a #PhilanthropyFriday email newsletter, or social media post—all of which are read by our growing family of donors and friends. To share your story, simply fill out our form online by March 1, 2019. *The nonprofit organization must be a registered 501c3 organization in good standing and provide services that benefit the people in the Lackawanna County region. Up to $10,000 will be awarded through this special program, funded by the Scranton Area Community Foundation. For more details about the Scranton Area Community Foundation’s Share Your Story opportunity, please contact Brittany Pagnotti, Communications Manager, atbpagnotti@safdn.org or 570-347-6203.